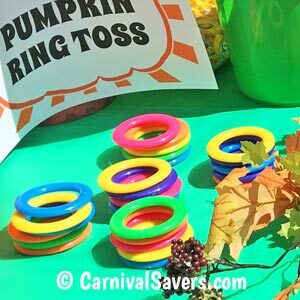 Fall Festival Idea: Pumpkin Pop Ring Toss! Give Festival Players 5 Rings to Toss. 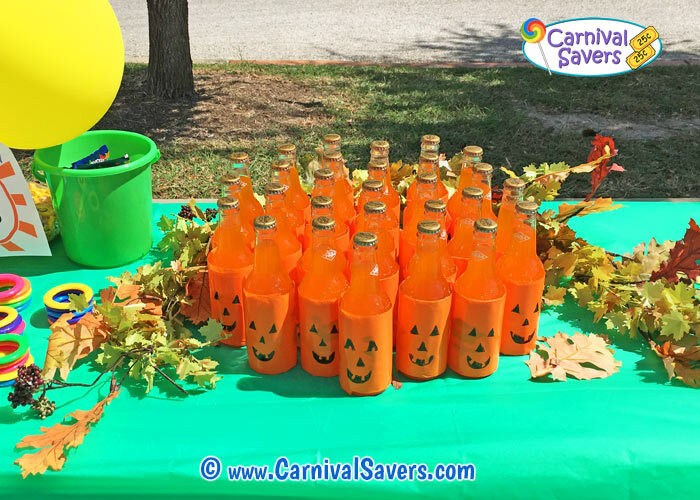 Add a Fall Theme on a Traditional Carnival Game! Use your permanent marker to give the orange soda bottles a pumpkin face. Note: depending on the brand, you may be able to use the marker right on the glass bottle. In our last setup - the orange crush had too much bottle decoration, we covered with orange plastic bags and added faces. Tip: the day of your festival typically will seem very busy, so we recommend getting this step done before and place the bottle back in the cardboard containers for easy carrying! 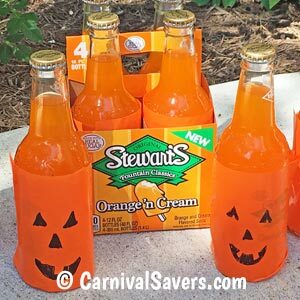 Set up large grouping of your orange sodas bottles on a table - add some extra fall decorations if you wish and you are ready to roll! Typically, younger players can stand closer to give them a better chance at winning. In general, your youngest players will be about 1 yard away from this game. For your order players, you can move the line back 2 feet or so. 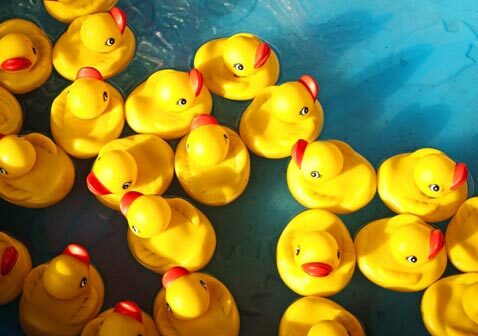 We love the "ching, ching" sound that the hard plastic rings make when they bounce off the bottles! Festival attendees will visit this booth just to see what they are missing and join in on the fun! Festival players are given five rings to try their hand "ringing" one of the individual pumpkins. If they ring a orange soda bottle, they are awarded a Top Prize! If players do not "ring" a pumpkin bottle, they receive a consolation prize. For most games, players are given 3 tries - but we found with this game, even if you stand close, it is difficult to "ring" a orange soda bottle. With this setup, generally we see 1 in about 12 wins at this game so when choosing your top prizes, keep the odds of winning in mind. Note: If your Fall Festival is at night, consider trying this nighttime setup for this game! Purchase mini bright lights, and add to the back of each bottle to make the jack-o-lanters "glow"! FUN PRIZES & SUPPLIES for YOUR PUMPKIN POP RING TOSS!